Jason Eagan, a volunteer firefighter in Sandoval, Illinois, reportedly left the department after suffering at the hands of several bullies within the department. He's returned, however, and two of the people purported to be perpetrators of the bullying have resigned. The Belleville News-Democrat reported that Eagan, 33, quit after some of his colleagues mocked him and would call him a "retard." On Thursday, Eagan's sister, Kristin Sian, shared a Facebook post about the incident. She wrote, "My brother, Jason Eagan, has Down syndrome and became a fire fighter in Sandoval, IL. He responded to every single call and it has come to my knowledge he quit a few months back due to harassment from a fellow fireman. "It disappoints and angers me that this was allowed and that a grown man bullied a fellow fireman simply because he's different," she added. "I'm beyond pissed off!! Be thankful I live 400 miles away because I would take action on your sorry behind! My brother is an incredible person with an amazing drive and heart. You should be ashamed of yourself. I love you, Jasey!!! Keep your head up!" The post went viral and caught the attention of the department's board of trustees, who told Eagan his job was still open, according to the outlet. Eagan returned to his job on Monday after a three-month break, and the Sandoval Fire Department is set to hold a meeting about the incident later this week. The outlet reported that the fire department issued an apology to Eagan for his treatment by some of the other firefighters. What did his family say? Eagan's aunt, Mary Kay Eagan-Robbins, said that the job meant more to the young man than anything else in his life. 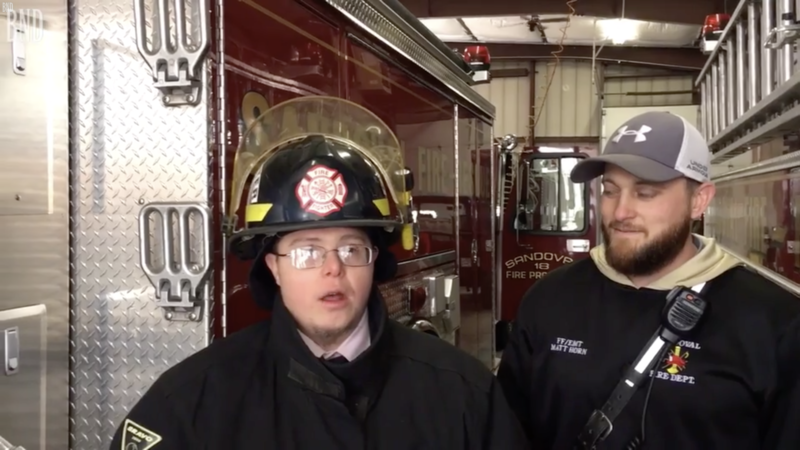 "It went good for two [or] three years and then, all of the sudden, someone at the fire department started harassing Jason and picking on him and bullying him," Eagan-Robbins said. Eagan's family has reportedly been in contact with lawyers as well as disability advocates. "He is excited to return," Sian said. "We just have to make sure this will not happen again."